W5100 suits users in need of stable Internet connectivity best, using a single chip to implement TCP/IP Stack, 10/100 Ethernet MAC and PHY. Hardwired TCP/IP stack supports TCP, UDP, IPv4, ICMP, ARP, IGMP, and PPPoE, …, which has been proven through various applications over many years. 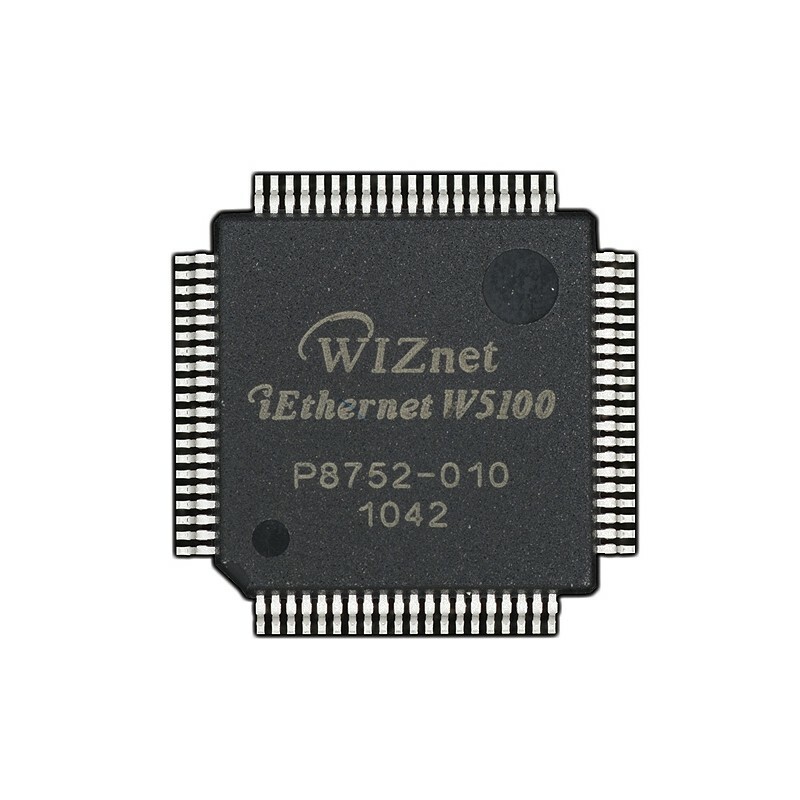 W5100 uses a 16ytes internal buffer as its data communication memory. 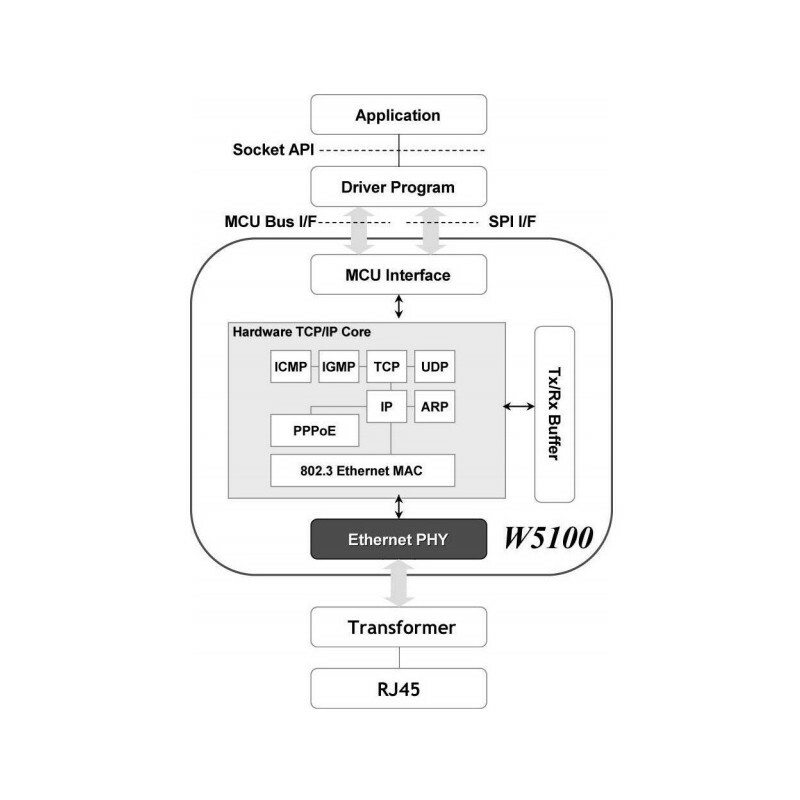 By using W5100, users can implement the Ethernet application they need by using a simple socket program instead of handling a complex Ethernet Controller. It is possible to use 4 independent hardware sockets simultaneously. BUS (Direct & Indirect) & SPI (Serial Peripheral Interface) are provided for easy integration with the external MCU.